We showcase Omaha's best restaurants to make it easier for you to decide where to eat. Omaha has hundreds of restaurants, but we only include the good ones. We provide you with descriptions, maps, and pictures of each restaurant, and list them by their location and cuisine. you need to find a good restaurant in Omaha. You can get free stuff. All you have to do is make reservations by clicking the button instead of calling. Discover some of Omaha's best restaurants. & street view images from Google Maps. Here's Omaha's best Sunday brunch restaurants. 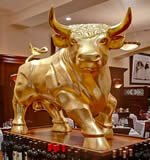 You should try one of our steakhouses.